Flanders is the northern federated state of Belgium, bordered by the North Sea in the West and nestled between the Netherlands and France. Its capital is Brussels, which it shares with the EU, NATO and numerous other international institutions and companies. Flanders is a unique region thanks to a combination of world- renowned seaports, an extensive railway and road network, its productive and highly educated population, excellent healthcare, and an R&D-friendly environment. Some of Europe’s leading cities, like London, Paris, Rotterdam, Amsterdam, Cologne and Luxembourg are all situated within a 185 mile radius of Brussels, the capital of both Belgium and Flanders. 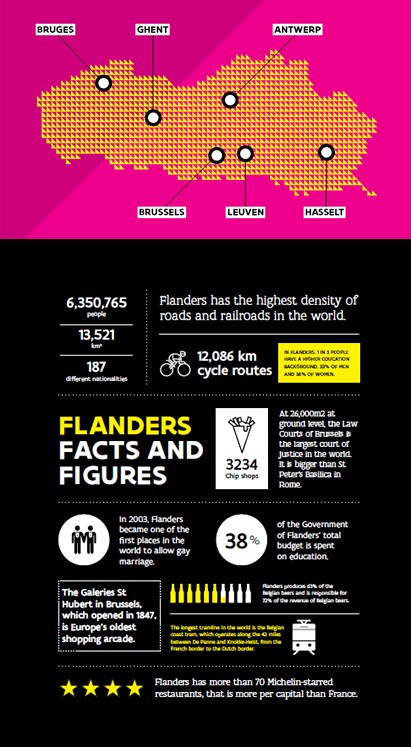 Flanders is at the heart of Europe. Minister-President Geert Bourgeois introduced the members of his government team on July 25, 2014. The Government of Flanders consists of nine ministers, who are in office for a 5-year term, which is set to expire in 2019. The coalition government is composed of the following political parties: N-VA, CD&V and Open VLD. 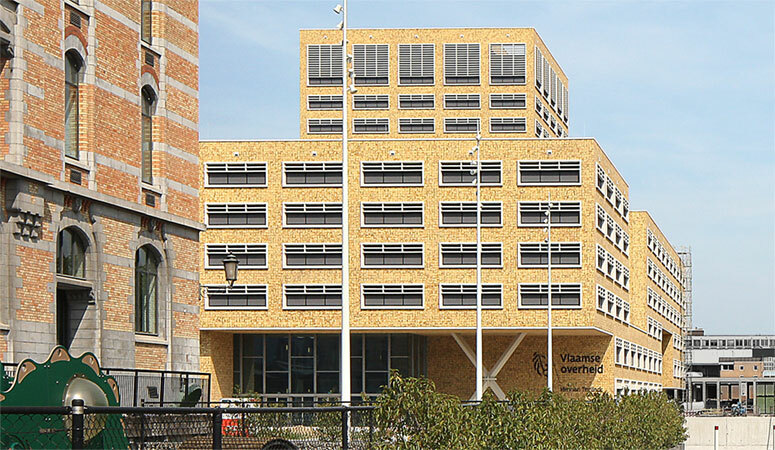 The Flanders Department of Foreign Affairs cooperates with the agencies Flanders Investment and Trade and VISITFLANDERS, in order to realize Flanders’ international ambitions. Flanders is highly connected to the world. It is a core task of the foreign policy of Flanders to defend Flemish interests abroad. Flanders is an open society focused on the world. In a globalized world, it is essential that we comprehensively pursue our interests and resolutely employ our assets at the international level. Since the signing of the Special Act of 5 May 1993, the so-called St. Michael’s Agreement, every level of government in Belgium (including Flanders) can pursue its own policy abroad as related to its domestic competences. According to this principle, which is described as “in foro interno, in foro externo", Flanders develops its own foreign policy in all its internal powers, such as education, the environment, infrastructure, culture, and social affairs. In this context Flanders maintains bilateral relations with various countries and in various fields, since the great challenges of the 21st century transcend both national and regional boundaries, and increasingly require global answers. We also welcome multilateral cooperation, through multilateral institutions such as UNESCO, the international Labor Organization (ILO) and the Organization for Economic Cooperation and Development (OECD). The diplomatic delegations abroad serve as instruments of the foreign policy of Flanders. They work in close cooperation with the respective Belgian Embassies. Belgium gained independence in 1830. Between 1970 and 1993, the country evolved into a more efficient federal structure. This occurred through six state reforms (in 1970, 1980, 1988-89, 1993 and 2001). As a result, the first article of the Belgian constitution today reads: “Belgium is a federal state, composed of communities and regions”. The redistribution of power occurred along two lines. The first line relates to language and, in a broader sense, to everything related to culture. The result was several communities. The concept of 'community' refers to persons that make up a community and the bond that unifies them, namely their language and culture. Belgium sits across the fault line that separates German and Latin cultures. This explains why the country has three official languages: Dutch, French and German. As a result Belgium has three communities: the Flemish Community, the French Community and the German-speaking Community. These communities correspond with the population groups. Since these Communities are based on the concept of "language" and language is "dependent on the individual", a number of other powers are obviously associated with the Communities. The Community has authority over culture (e.g. theater, libraries, audiovisual media), education, the use of languages and matters relating to the individual, which concern health policy (curative and preventive medicine) and assistance to individuals (e.g. child protection, social welfare, family assistance, immigrant assistance services). They also have powers in the field of scientific research and international relations, ,as associated with their powers. Economic interests inspired the second goal of state reform, as the regions aspired to more economic autonomy. 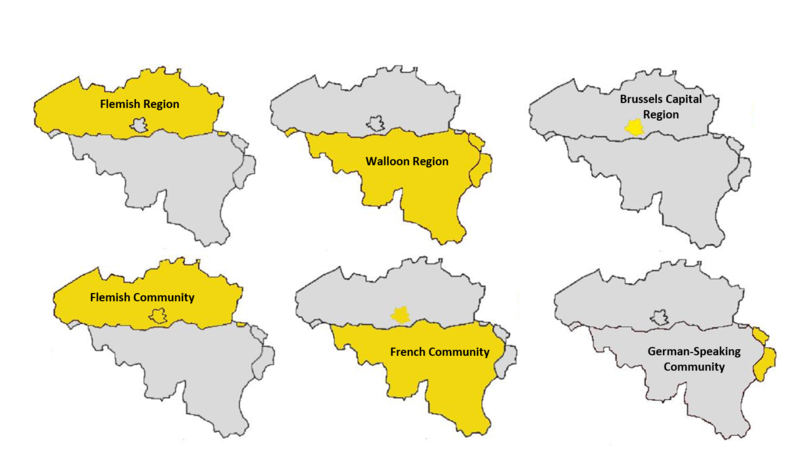 This resulted in the establishment of three regions: the Flemish Region, the Brussels Capital Region and the Walloon Region. To a certain extent, they can be compared to the American states or the German 'Länder'. Their powers have been gradually extended in the course of various reforms. During the second state reform of 1980, the Flemish and Walloon Region were given their own Parliament and Government. The Brussels-Capital Region, on the other hand, was only granted its institutions during the third state reform in 1988-89. The population directly elects the members of the Regional Parliament every five years. Regions have powers in fields that are connected with their region or territory in the broadest sense. The Flemish Region, the Brussels-Capital Region and the Walloon Region have powers relating to the economy, employment, agriculture, water policy, housing, public works, energy, transport (except Belgian railways), the environment, town and country planning, nature conservation, credit, foreign trade, supervision of the provinces, communes, and inter-communal utility companies. They also have powers relating to scientific research and international relations in those fields. The Regions have legislative and executive branches: these are known as the Regional Parliament and the Regional Government. One should not forget that in Flanders, the Community and Regional institutions were merged, Therefore, Flanders only has one parliament and one government. The Federal State retains important powers in the area of foreign affairs, national defense, justice, finance, social security, important parts of national health and domestic affairs, etc. Nevertheless, the communities and the regions also have the power to establish and maintain foreign relations. Reconciling regional and cultural identities within a federal structure is easier said than done, but has the advantage of bringing the decision process closer to the population. This results in a more sharply defined political structure, with a greater emphasis on quality of life. The three territorial Regions and language-based Communities.